60 seconds is all it takes to get a decision which is about as easy as it gets. There's no credit check so you can't be rejected based on your credit score. Applied Bank says approval is guaranteed as long as they can verify your residence, identity and ability to pay. It's also got an unusually low APR for a card that helps you build credit by reporting to all 3 Credit Bureaus. It doesn't even cost anything to apply. Pretty good. Activate Today with a $200 Minimum Deposit - Maximum $1,000. 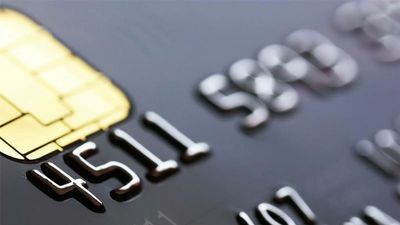 The Applied Bank Secured Visa Gold is a good card for people who have to build their credit from scratch, or have “Poor” credit and are looking to rebuild. It’s in the family of secured cards, which means you get access to your credit limit against a deposit you must make once approved. This is different from unsecured credit cards, which make up the majority of traditional credit cards that don’t require a deposit and prepaid or pay-as-you-go cards that you load periodically. What’s really enticing about this card choice is the very low fixed APR. The APR of this card is fixed at a below average rate which is a great thing for would-be credit users who don’t have the best track record making payments. The bottom line is a lower than average APR saves you money, and that’s particularly useful for people with “Poor” credit who have trouble getting approved for cards with a good rate. There are some drawbacks, however. Mostly, you should know before you apply for the Applied Bank Secured Visa Gold credit card that it doesn’t come with any perks or rewards other than the opportunity to raise your credit score. There’s also no grace period on payments, so interest starts calculating right at the end of your billing cycle. The fees can hurt, too. Make sure to read the fine print, but otherwise, the low APR is a major boon. Click the button below to go to Applied Bank's website. This content is not provided by Applied Bank. Any opinions, analyses, reviews or recommendations expressed on this page are those of the author's alone, and have not been reviewed, approved or otherwise endorsed by any card issuer.